COLORADO SPRINGS — CBRE is marketing a 64.22-acre mixed-use development opportunity adjacent to Peterson Air Force Base on behalf of Powers and Airport LLC, a partnership between Signature Realty Capital Corp., a California-based real estate development and investment firm and Stillwater Equity Partners LLC, a Utah-based real estate development and asset management firm. 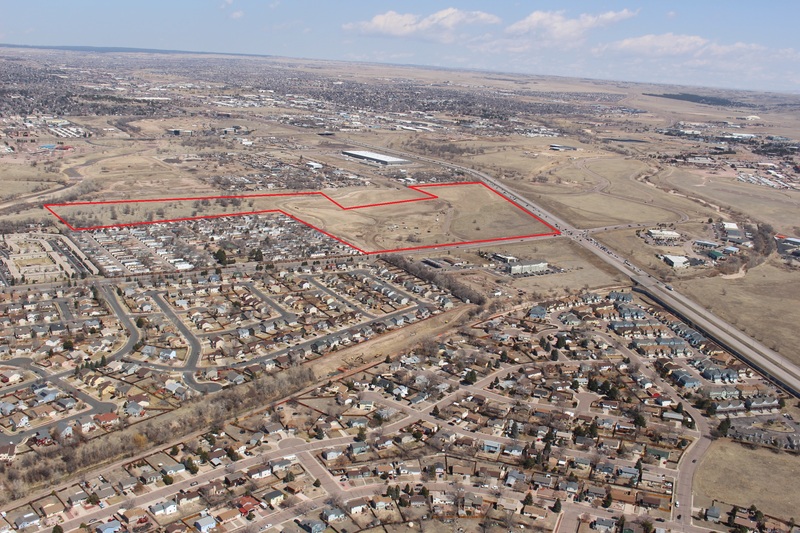 Called Westgate at Powers, the site is located within a Pikes Peak Enterprise Zone and is primed for retail, multifamily and office development. Dan Rodriguez, Patrick Kerscher, Nicola Myers-Murty and Jake Young of CBRE are marketing the site for sale, lease or build-to-suit development. “The southeast side of Colorado Springs is home to a burgeoning population, yet for decades it has been underserved by commercial offerings. 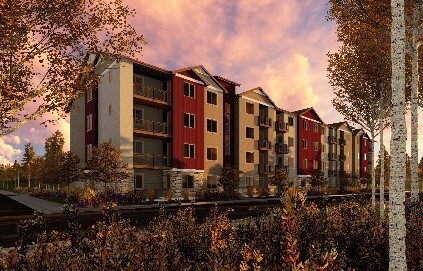 The potential of Westgate at Powers is to not only meet the daily needs of tens of thousands of nearby residents and employees but to also serve as a regional destination, attracting shoppers, diners and hotel guests from miles around,” said Rodriguez, senior associate with CBRE’s Retail Services in Colorado Springs. Located at the northwest corner of South Powers Boulevard and Airport Road, the highly walkable site benefits from a daily traffic count of 68,000 cars and more than 40,000 employees within a three-mile radius. 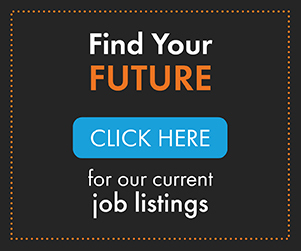 Westgate at Powers, which is less than 10 minutes from the Colorado Springs Airport, is located within a Colorado Enterprise Zone, meaning businesses operating at the site may be eligible for income tax credits or other tax breaks. Thirteen acres of the project are being dedicated to office development, with the potential to build up to 576,975 square feet. The office section of Westgate at Powers is flanked on three sides by retail development, with lots ranging from 0.55 to 1.34 acres available including multiple drive-thru pad sites. A Candlewood Suites and Kum & Go convenience store are already under contract. Finally, the western edge of the property is being reserved for multifamily development. 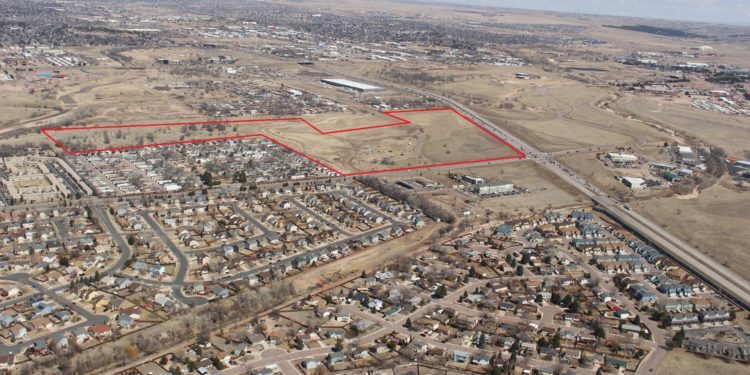 intention to grow by 300 acres with the purchase of land from the City of Colorado Springs.  The Air Museum is going through a $40 million expansion, while Sierra Completions is in the process of constructing an $88 million campus projected to house 2,100 employees at nearby Colorado Aerospace Park. The Colorado Springs Airport is experiencing record air traffic, boarding more passengers in 2018 than any other year since 2010, and the City of Colorado Springs also recently agreed to sell 88 acres in the airport’s business park to a Fortune 500 company for a warehouse/distribution center. Previously open land, Westgate at Powers is currently undergoing site work, including the relocation of a drainage stream. The property is anticipated to be ready for development as soon as the second quarter.